To buy a hoverboard for under two hundred you have to be extremely careful about two things. 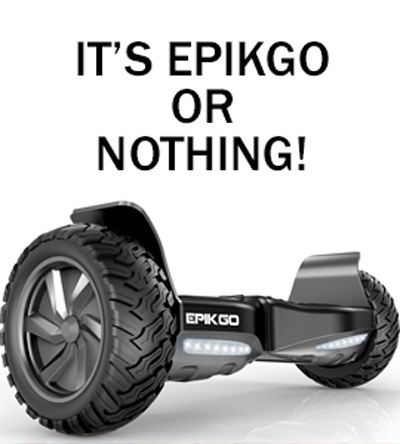 First it must be UL 2272 certified and second you must buy it from a reliable store that offers returns and refunds in case of an issues with the hoverboard. Both of these conditions are perfectly met by Amazon. As we have written elsewhere on this blog, Amazon only lists UL 2272 certified hoverboards on its website. At a time when all other websites were selling no certified hoverboards, Amazon completely utterly removed every hoverboard from its website, and only listed them after the UL 2272 hoverboards began to sell. There is not only a brilliant selection of UL 2272 hoverboards on Amazon, there are also some excellent ones that come for under $200. One of the best choices according to the entire team at Best Hoverboard Brands is the App-Enabled SwagTron T580 Bluetooth Hoverboard with Speaker. 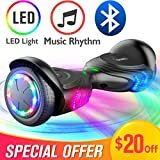 This complete hoverboard package from a highly trusted brand SwagTron, comes only for just under $200 (it may fluctuate up and down and you may find it costing around $220 too). Even at a slightly more than $200 price, this is a great hoverboard to buy. Check out the SwagTron T580 here. Of course the lists above give a great selection of hoverboards under 200, with maybe one or two slightly above it. 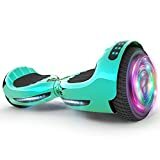 A $200 price for a good quality hoverboard is possible only when you buy from a website like Amazon, that checks rigorously for the UL 2272 certification, before listing the hoverboards. Xtremepower US has made a name for itself in the hoverboard in a very short time. It has specialized in bringing low cost yet high quality hoverboards into the market. All of their hoverboards are UL 2272 certified and have all the features and specifications of the top hoverboards. Yet they are mostly priced under $200. This Xtremepower US hoverboard is powered by two 350 watt wheel motors, and has a 36 volt 4.4 Ah li-ion battery. The battery is UL certified, and has a charging time of around 2-3 hours. It has a maximum speed of 8 miles per hour, and can take on a maximum load of 165 lbs. This hoverboard has the regular 6.5 inch wheels and bright Led headlights for more visibility at night. 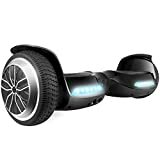 Most verified buyers have liked this hoverboard and says that it comes fully charged and is quite durable. For one user that board has lasted a little over a year and is still going strong. The time for us is about 2 hours and it is quite smooth in riding and moving about. One common feedback is that the paint of the board chips off if it crashes. That is not at all a deal breaker as all hoverboards will have this problem. One owner presented it to his son who has given t some pretty rough treatment, crashing both indoors and outdoors, but the hoverboard is still performing very well. 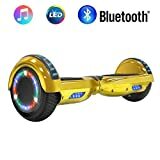 Another user said that he spent a lot of time figuring out why some hoverboards were priced closer to $300 and how some like this one was priced at under $150. 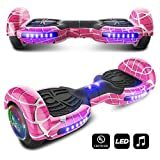 He concluded that most of the features of the hoverboards are the same, and that as long as they are UL 22872 certified they are good to buy. The more expensive hoverboards had some extra bells and whistles like Bluetooth speakers etc. Also the more expensive ones did seem to last longer. Another difference that he figured out was that the overall finish and foot pads etc., of the more expensive version was of a better quality. When he assessed what eh was looking for and what hoverboards were available, he felt that the Xtremepower US was a good option for him. He did not need the bells and whistles but wanted a minimum quality threshold. He found the ideal features and quality int he Xtremepower US hoverboard and has been very happy with his purchase. If you want a good hoverboard on a budget, then go in for this Xtremepower US hoverboard.